Dropbox is many things — a multifaceted tool that’s so powerful, you’ll continue to discover new ways to use it. But the short and sweet of it is this: you can use it to store and sync documents and files across computers, tablets, and smart phones. I can write a lecture or lesson plan on my computer at home, put it in my Dropbox folder, and whoosh – it’s synced with my work computer. During my free period at school, I can open that file, make a few changes, and the changes are automatically synced with my home computer. It’s seamless, fast and free. Watch this and then read on to learn some of the ways I’m putting Dropbox to work in my classroom. 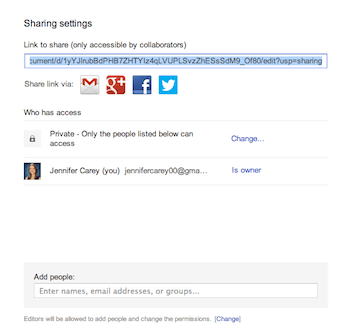 So, how can you use Dropbox as an educator? There are many ways that you can do this. One is to just manage your own material and make it more readily accessible. My PowerPoint presentations are very image intensive and quickly get over 20MB – not an emailable size (my server limits email space to 5MB). Rushing around in the morning, it’s easy to forgot to copy the new version of a big file onto my flash-drive. By keeping my lectures and other school materials on Dropbox, I always have access to the most recent changes. Additionally, many applications that you likely use (Evernote, Things, 1Password, Elements, to name a few) have a Dropbox sync option. Check your favorite applications to see if they have a “save to Dropbox” feature. Since Dropbox works across platforms and devices, you can use a Mac at home, a PC at work (which I do), a Blackberry phone and an iPad, and you will have access to your documents on *all* of them (there are also Dropbox apps for iPhone, Android and Linux). Thanks to Dropbox’s syncing magic, your documents will be up to date at all times on all devices. In addition to making your life a lot easier, Dropbox can be a great teaching/learning tool – and this is why I introduce it to my students. The first thing to do is to create a sharing folder for each class you teach so you can make information available to your students (PowerPoints, hand-outs, reading assignments, whatever). You can call this folder anything. 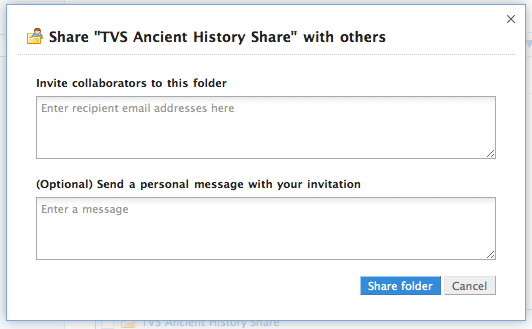 For my history classes, I usually use the word “share” and create folders with names like “Ancient History Share.” When you go to your Dropbox page on the web, this screenshot gives you some idea of what you will see. As the owner of this Dropbox account, you’ll be able to see what was deleted, when, and by whom. You can restore any deleted file or (if a student modified it) revert to an earlier version. I try to upload only locked PDF files to prevent students from accidentally altering content. How do I employ Dropbox in my classroom? To store additional copies of hand-outs. Students know to re-download and print on their own here if they missed a hand-out due to an absence or simply lost it (no one ever asks me for another copy). As a way for students to turn in homework assignments. It’s an easy electronic homework drop (compared to email) and will time stamp submissions. 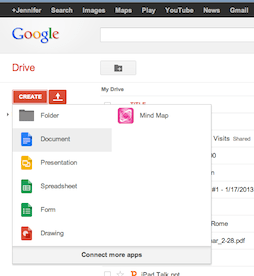 Dropbox can also be a useful tool in managing student projects and presentations. In my classes students use Dropbox to submit the visual components of class presentations, for instance. It’s a huge time saver, as it otherwise takes several minutes for students to log in/out of their school accounts to access presentations. If you don’t have individual accounts, you’ll quickly find ways to let Dropbox help you work around that issue. With Dropbox, I also can visually determine that students have completed a particular portion of a project or presentation assignment. Best of all, since all presentations are “turned in” to same same virtual place, every student can access his or her presentation via one log-in (a huge time saver when you’re trying to get through many presentations in a single 50-minute class). I began using Dropbox during the first weeks of school. By the end of the school year, I noticed that more and more students were using Dropbox on their own. They would store homework assignments there for easy access (many of my students have at least two homes, rotating between parents, and also need quick access to material while in school. Synching makes keeping up simple). Students can use Dropbox on their phones to review handouts (rather than a print-out, ultimately saving paper). And many of them have begun to sync their files across multiple computers outside of school. A few have even demonstrated Dropbox’s features to their parents. 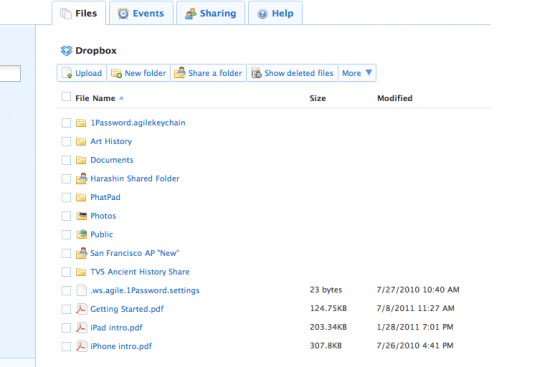 Dropbox is more of a mega-utility than a simple tool. It begs you to think up new ways to use it, in and out of the classroom. If you download a free copy of Dropbox via this link, you’ll get an extra 250mb of storage space for free. Install it on your computers and any other compatible devices. Play with it and see what it has to offer! 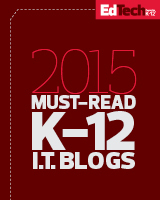 This entry was posted in Education, Educational Resources, Educational Technology, Technology and tagged DropBox, Ed Tech, Education, Educational Technology, PLP on August 10, 2012 by Jennifer Carey. This year, I have had the privilege of working with the PLP community (Powerful Learning Practices). It is an organization of educators that helps individuals to create action based learning projects for teachers and administrators in a professional development context. The year has been busy and, at times, overwhelming. However, I’ve learned so much and have had my own beliefs and practices reaffirmed. Check out this interview that Sheryl Nussbaum-Beach recently gave about Passion-based learning in the 21st century. This is a great article that focuses on incorporating students’ interests and passions into the classroom – allowing them to drive their own education (to a certain degree) based on what interests them. It’s not about ignoring the testing, the core curriculum or the standards. It’s about allowing them to pick an entry point they’re really excited about. Read her interview here and you can also follow her on twitter. This entry was posted in Education, Educational Technology and tagged 21st century learning, Education, Passionate learning, PLP on April 23, 2011 by Jennifer Carey.